Canadian police have said they are investigating the deaths of Barry Sherman the founder of Apotex Inc. a Canadian pharmaceutical company, and Honey his wife. The couple is one of Canada’s wealthiest and their bodies were located on Friday inside their mansion. Police say they responded to a call at midday at the home of the Sherman in an affluent area of Toronto. A local constable said the circumstances of the deaths appear to be suspicious and it is being treated as such. Later homicide detectives told the media outside the home that had not been any signs of a forced entry. Neighbors, business associates as well as some of the most powerful politicians in Canada expressed their sadness over their two deaths. On Twitter, Canadian Prime Minister Justin Trudeau tweeted his condolences to the family and was very touched by the couple’s vision and spirit. The mayor of Toronto John Tory through a prepared statement said he was heartbroken and shocked when he learned of the couple’s death, noting the couple had made many contributions to the city. The Sherman’s had recently put their house up for sale at the price of C$7 million equal to approximately $5.4 billion. 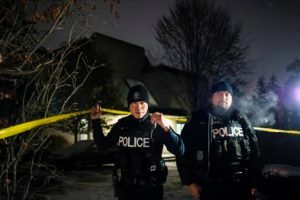 When the real estate agent in charge of the sale was preparing the home to hold an open house, she discovered the bodies of the couple in the home’s basement, reported a local paper. Sherman, who was 75, founded Apotex 43 years ago and remains privately held. He grew the company through the introduction of large numbers of generic, low-costing drugs that were able to take market share away from the branded pharmaceuticals. He stepped aside in 2012 as the CEO, but remained as its executive chairman. The fortune of the Sherman’s is estimated to be $3.2 billion. Apotex is the seventh largest generic drug maker in the world with more than 11,000 employees with annual sales of over C$2 billion across 45 countries. The couple has been well-known for the philanthropy they carried out, giving tens of millions dollars to hospitals, Jewish organizations and universities, reported local television. The former Premier of Ontario Bob Rae said the couple was very successful in business, yet very giving, and their loss will be very big. In February a local newspaper wrote there was an investigation about a fundraiser that Trudeau had attended.